Superstar Rajinikanth’s ‘Kabali’ is doing everything under the sun to increase the already stupendous buzz around the film. The movie unit has now decided to take the promotions to the sky, in a literal sense. The movie’s posters are being plastered across a couple of domestic flights as well as international flights. These posters on the aeroplanes are reportedly a treat to watch. With this unique publicity gesture, the team has managed to generate tremendous buzz on social media. Pa Ranjith is the director of this movie and Kalaipuli S Thanu is the producer. 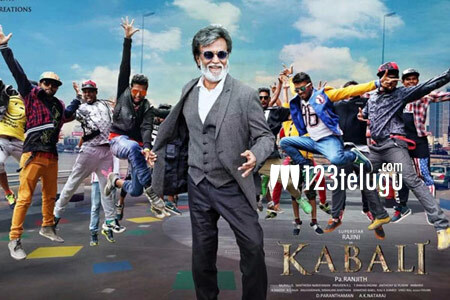 The Telugu version of the audio will be launched on the 26th of this month.